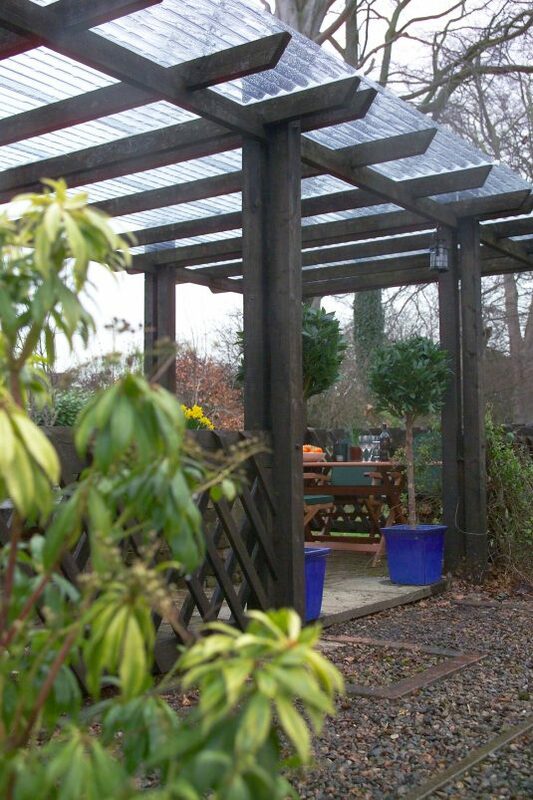 Clearly the benefits of using Sunclear PVC sheeting are obvious when looking for an inexpensive way to protect your outdoor living areas against wind andrain,so they can be enjoyed all year round. Outdoor living is part of the New Zealand lifestyle, and by adding an outdoor living area to your home you can enhance your family lifestyle and add value to your property. Sunclear corrugated PVC sheeting is a corrugated sheeting product which can be used for roofing, cladding, and skylighting, protecting your outdoor living areas from wind and rain so that they can be enjoyed all year round. 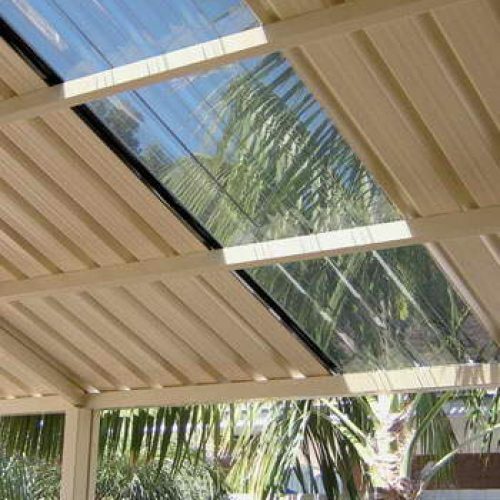 Because Sunclear corrugated PVC sheeting is clear, it allows natural light in and can be used in places where you still require the light of day, such as pergolas, windbreaks, and carports. 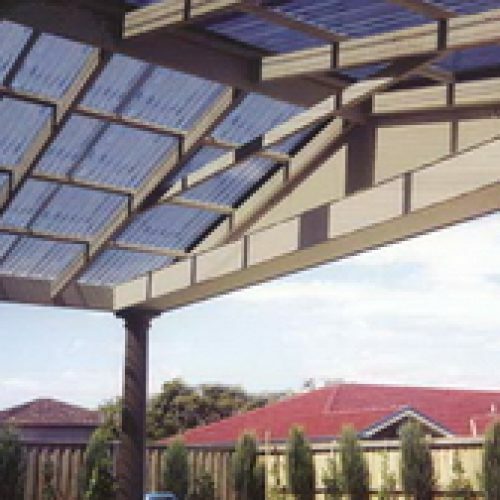 Sunclear corrugated PVC sheeting is good value: it is inexpensive, lightweight, and easy to handle or store, so even bigger projects, such as creating an outdoor living area or a carport, can become a satisfying and satisfactory DIY job. 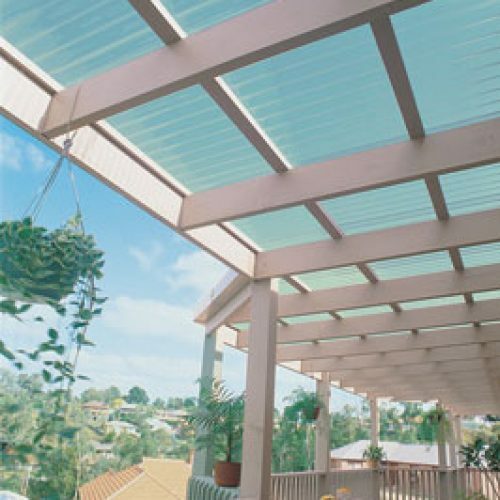 Sunclear is available with effective sheet coverage of 610mm or 760mm. Before ordering materials and commencing to build, please check the spanning table below which will give you the maximum distance between battens and purlins. The sheet’s length and the sheet coverage table will help you calculate how many sheets you will need. Sunclear corrugated PVC sheeting is warranted by Ampelite to give long service under normal usage. Protection against excessive yellowing of the sheet (as detailed in the warranty) is for a period of seven years from the date of purchase. Please download a copy of our Sunclear Brochure for the warranty. Sunclear corrugated PVC sheeting is fixed and flashed on similar principles to those of steel roofing. Before fixing sheets, apply white paint along the battens or purlins to minimise heat build-up under the sheet. Heat build-up will damage the sheet and cause it to discolour and deform. Fix the first PVC sheet at the end farthermost from the usual wind direction. If end laps are necessary, start at the bottom corner. Allowance needs to be made when drilling screw holes so that the PVC sheet can move freely as it expands and contracts. Screw holes must have a minimum diameter of 10mm. Avoid over-tightening as this may cause the sheet to crack or split. The standard corrugated profile is side lapped by one corrugation, but this can be increased to two ribs, depending on the degree of exposure and weatherproofing required. You could try making some practice holes using an off-cut or the part of a sheet which would be covered by ridging, flashings, etc. You may find it easier to drill the hole for the screw first and to then enlarge this to 10mm for the washer. Do not store stacks of sheets in direct sunlight, as sheets at the top of the stack will act like a magnifying glass, intensifying the light as it is transmitted through the stack and potentially damaging or distorting those sheets at the bottom. Like all plastic roofing products, Sunclear corrugated PVC sheeting is subject to the effects of weathering and the very high levels of ultra violet light which are present in New Zealand. This means that, over the years, there will be some loss of light transmission and impact resistance. Please consult our Sunclear brochure for the warranty.